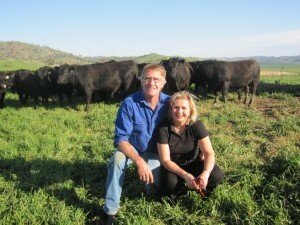 All Bongongo Bull sales are held on property at “Riverview” Gobarralong via Coolac. From Gundagai head north on the Hume Highway take the left exit from the Hume Highway(to Petit) just south of Coolac and follow the road back under the highway and head along the Gobarralong Road to the Murrumbidgee River (approx 12km) and turn left at Crowes Rd and do not cross the Murrumbidgee River. “Riverview” is 12 km along Crowes Road. “Riverview” is also accessed from Yass by heading South on the Hume Highway and approximately 6 kms south of Jugiong turn left down the Cooininee Road. Riverview is 13 kms down the Cooininee Road.